Graduate shows 2016: this coffee table by Northumbria University graduate George Riding features objects that nestle into the furniture's metal framework (+ slideshow). 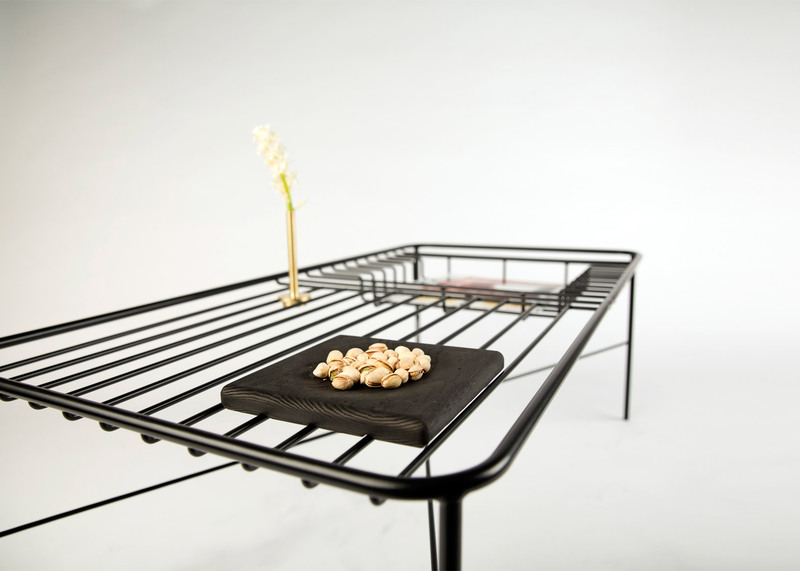 Riding based the black coffee table design on a grid, and has designed several accessories to accompany the furniture. 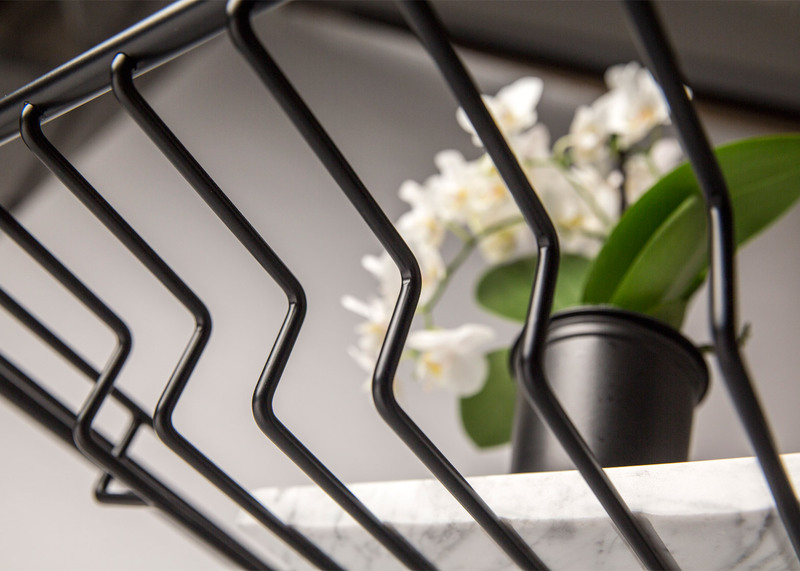 Half the tabletop features lengths of thin metal arranged horizontally, and the other half vertically. 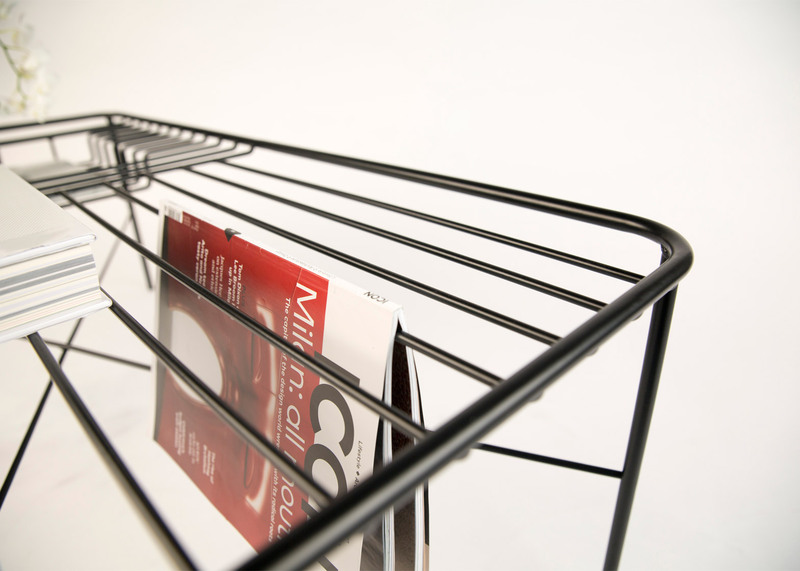 A rectangular indent in the surface creates a nook for storing books or magazines. 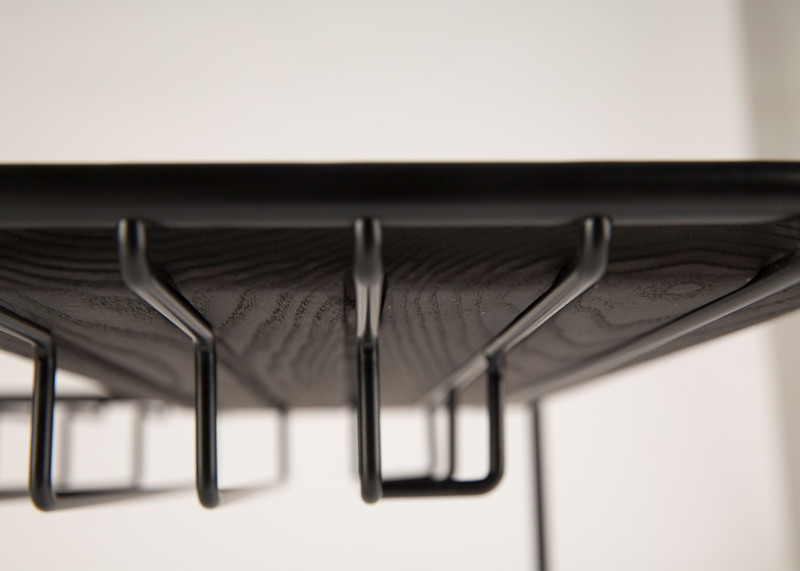 Underneath the table, four slender legs are braced by crisscrossing rods that form an X when viewed from above. 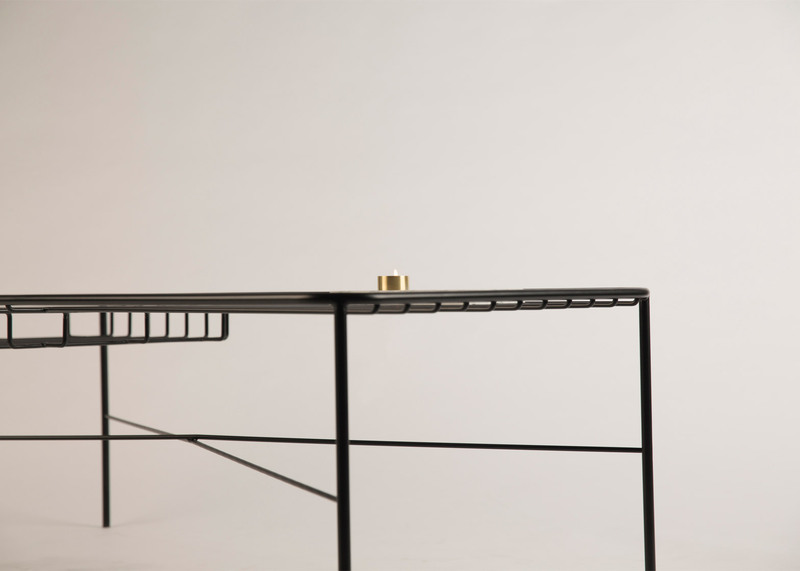 Riding designed the furniture to "enhance the relationship between the passive table and active objects". 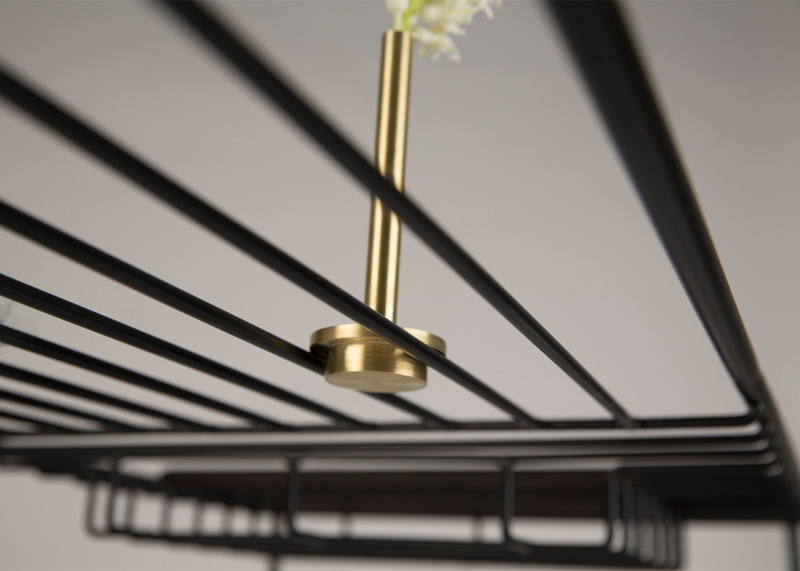 Placing objects on the Wire Series table is meant to be a pleasurable experience. "This is achieved through a wire surface that allows for the corresponding designed surface objects to be picked up, moved and placed by the user through forms that integrate to the wire grid surface," said Riding, who completed the furniture as part of Northumbria University's Three Dimensions Design: Furniture and Product course. 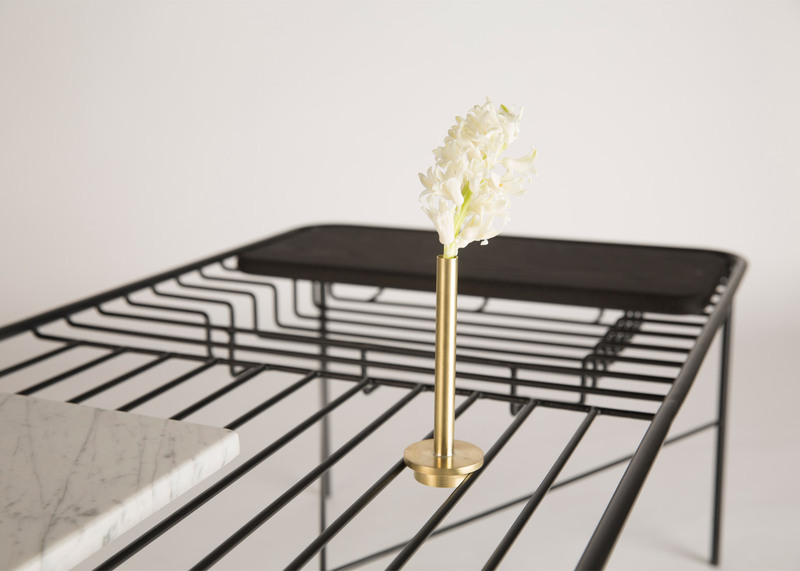 A black wooden board, plate, marble block and brass vase are designed with grooved bases that slot neatly around the table's gridded surface. The wooden board that fits precisely into the dimensions of each half of the tabletop, and can hold other items like food and drinks. 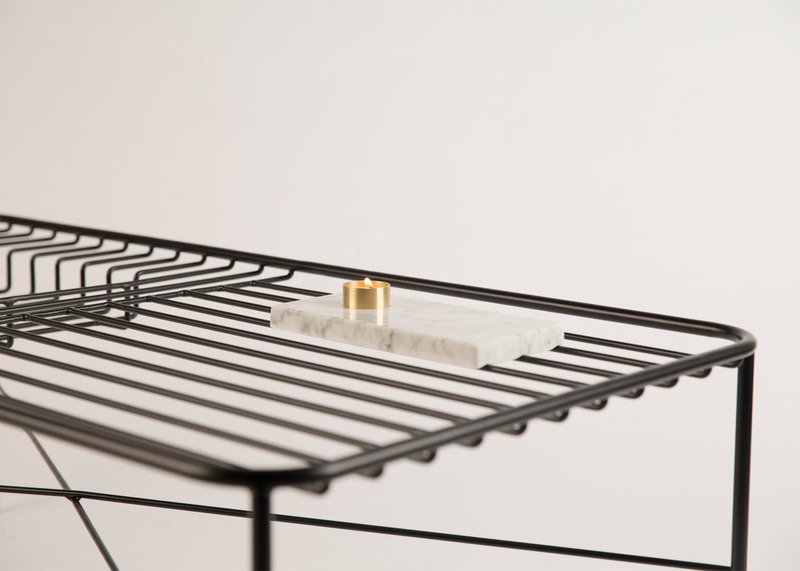 The marble block is more suited to smaller objects like plants, while the black plate features a circular dip that makes it good for serving snacks. A tubular brass vase can be added to hold flowers. Its circular base rests in the gaps in the framework of the furniture. 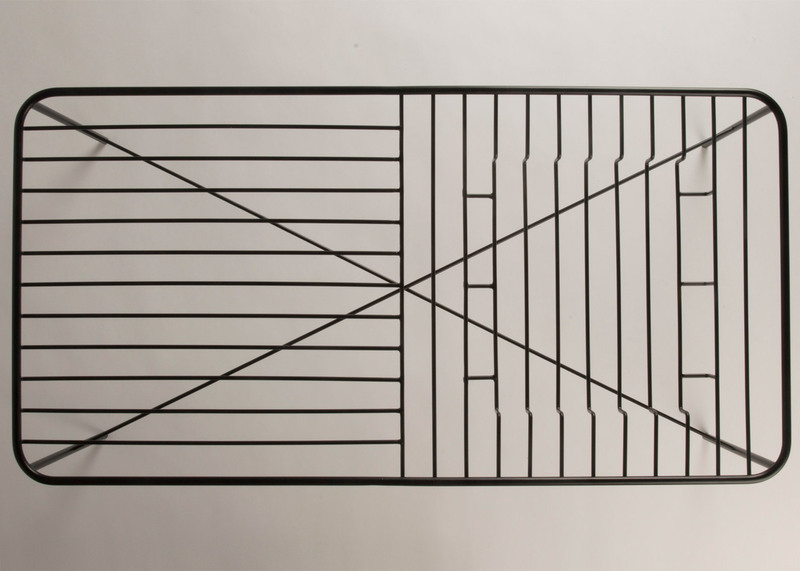 A similar line-drawn style, created by the furniture's tubular framework, can also be seen in Max Voytenko's zigzagging shelves and tables, and Goula/Figuera's modular lights, which were based on thousands of ink drawings. 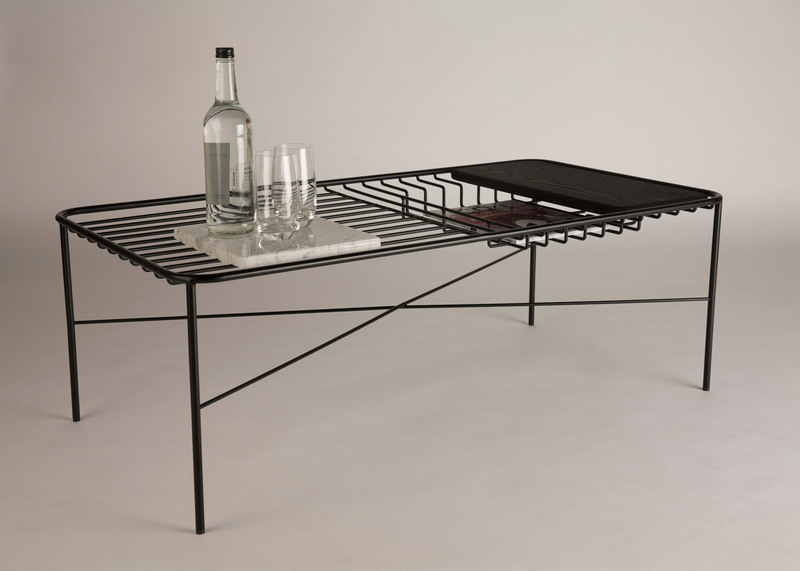 The Wire Series table is being exhibited at New Designers 2016 from 29 Jun to 9 July, and will also be shown at Northern Design Festival in October 2016.